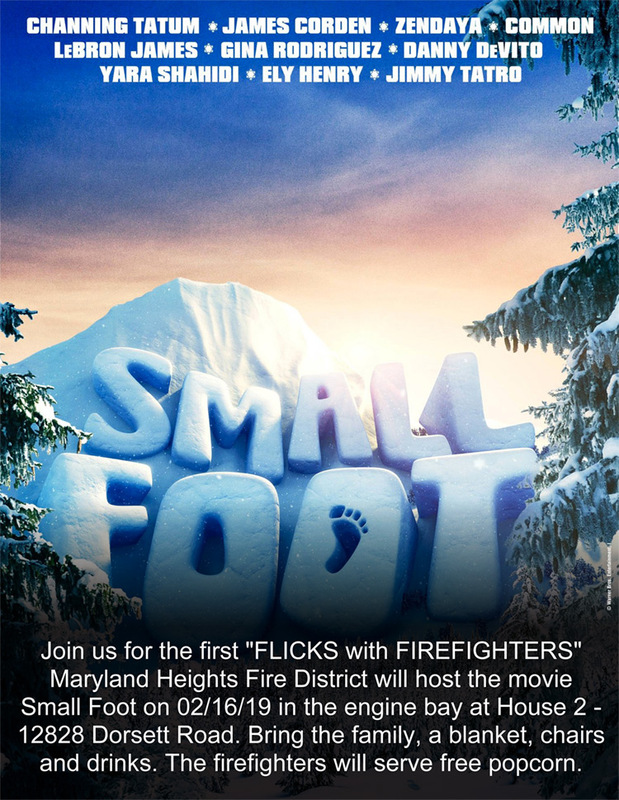 Join us for the first “FLICKS with FIREFIGHTERS” 2/16/19 as we host the movie Small Foot in the engine bay at House 2 – 12828 Dorsett Rd. Bring the family, a blanket, chairs & drinks. The firefighters will serve free popcorn! Icy Roads Don’t Stop This Crew! © 2019 Maryland Heights Fire Protection DistrictFire District Website by Spencer Web Design, Inc.